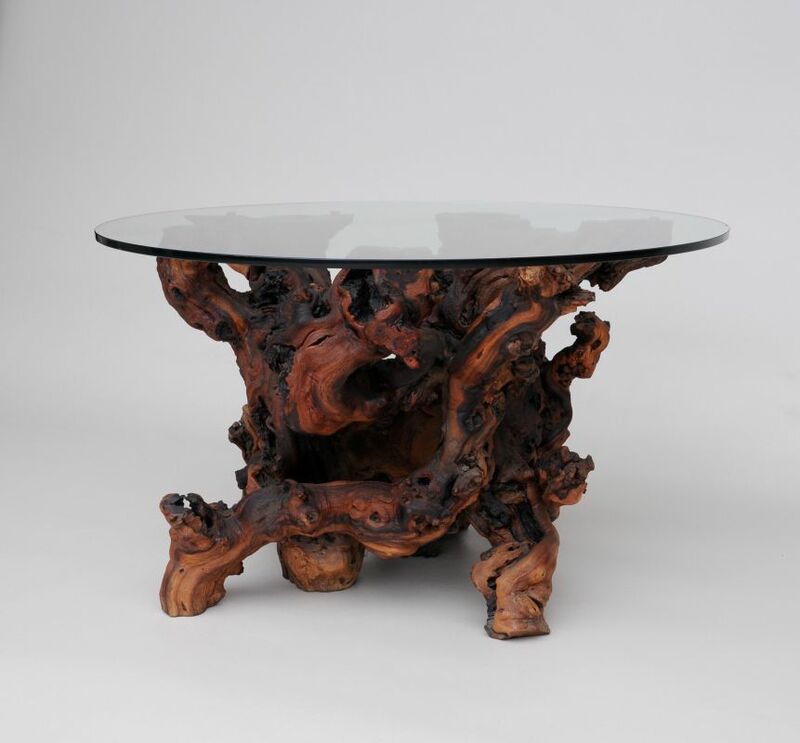 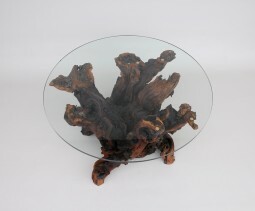 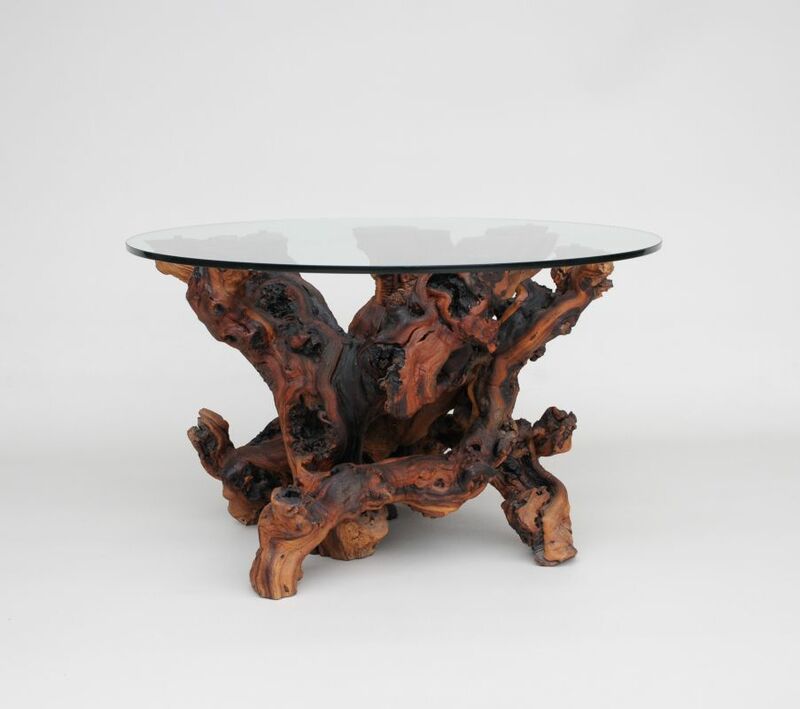 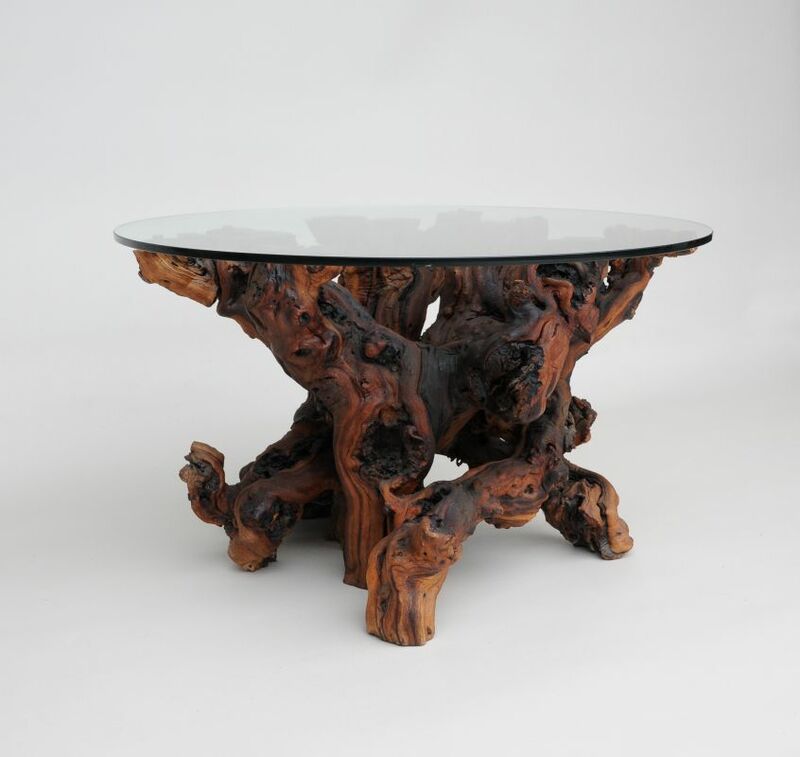 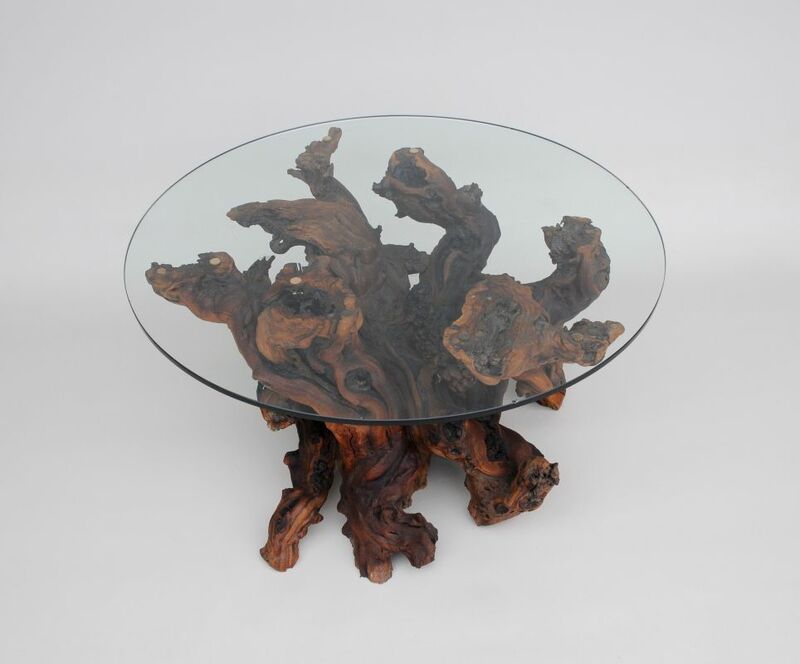 An unusual coffee table made from the root of a tree, with a thick circular glass top. 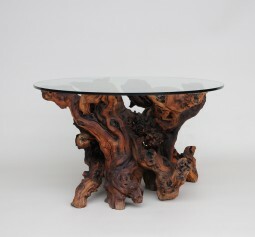 I believe the timber to be yew, it’s the right colour and grain. 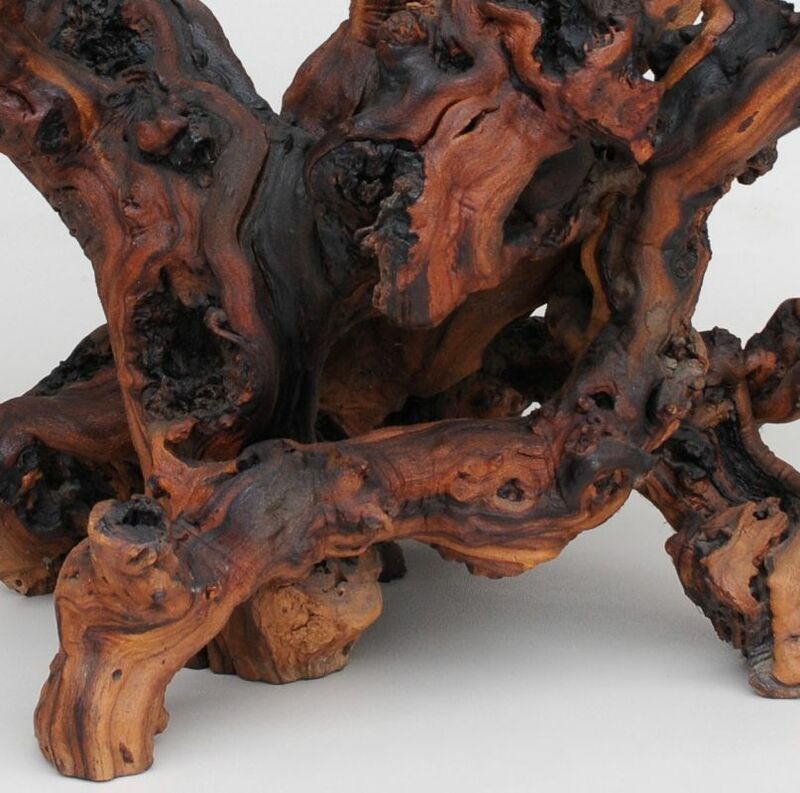 The roots are well gnarled and twisted which gives the table interest and character. 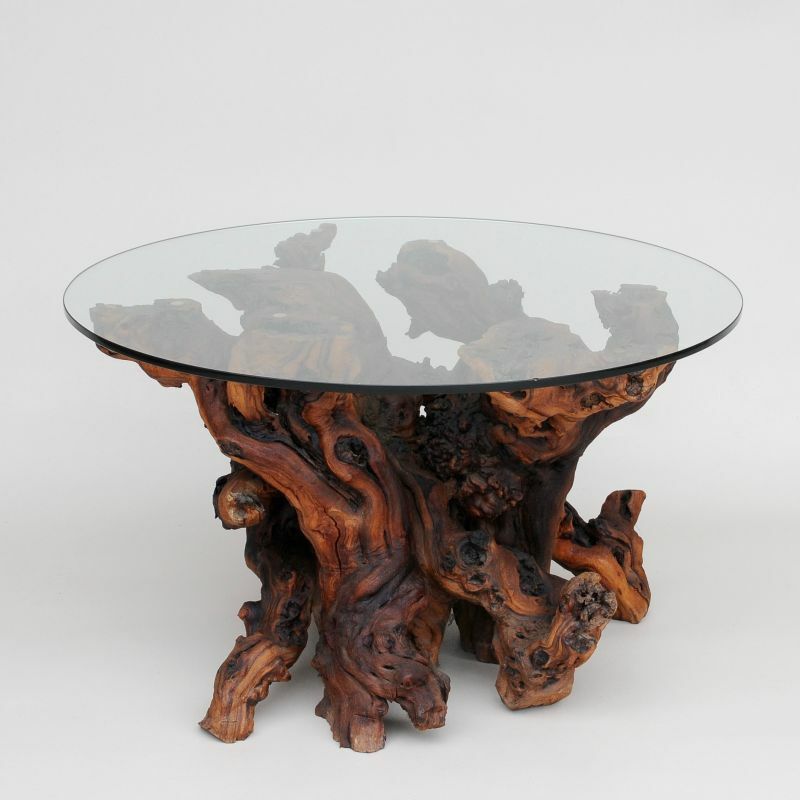 It was probably made within the last thirty years. Condition is generally good, but there two or three chips to the edge of the glass. The measurements are 76 cm wide, 76 cm deep and 44 cm high.